Our neighbors in Circleville celebrated Manufacturing Week in an impressive way. See the news at The Dispatch. 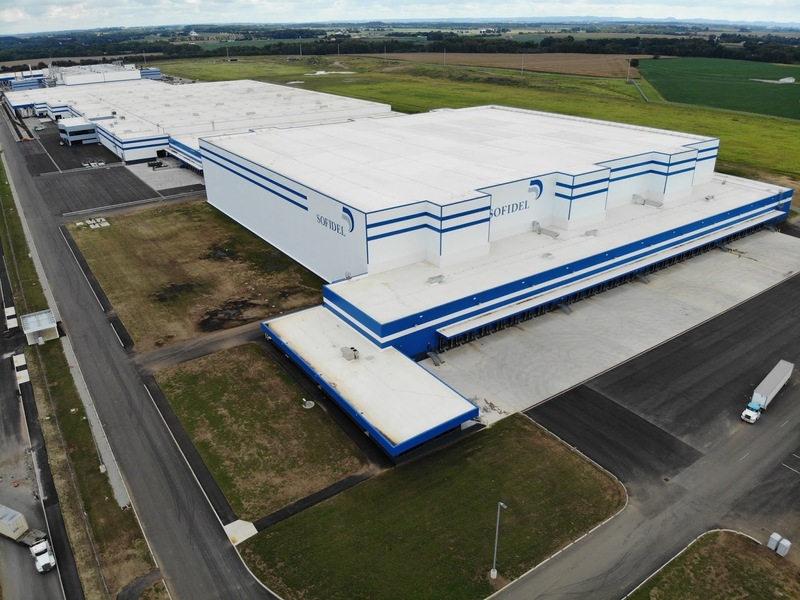 Private-label toilet tissue, napkins, and paper towels are now coming out of a new manufacturing plant in Circleville, Ohio, just an hour away. The plant was a $400 million investment in building and equipment by Sofidel, an Italiian-headquartered company. This is their first new plant built in the U.S. and their most modern plant on the planet. It officially opened Wednesday with a day-long, international gala. I'm celebrating with the Circlevillians and Italians. I was part of the three-person team that visited Sofidel on April 22, 2015 outside of Porcari in the Tuscany region of Italy. The visit was part of a Columbus 2020-led trade mission to Europe. A sit down with the CEO of the family-owned business began with a bold challenge. He said in very clear English, "Impress me." We in Licking County didn't have a site for this plant that had some pretty precise needs for size with rail and stream access. Obviously, Circleville did. Economic development is a little-defined profession. This deal has lessons for all. True economic development involves having ready-to-go sites and having capable people. Communities need people capable of targeted sales/marketing and people capable of seeing projects from A-to-Z to ensure the smoothest landing for projects in a local community. You gotta close the deal. Without these, Ohio never impresses and the deal doesn't happen in Circleville. I'm impressed. Congratulations, Pickaway County.